The second Jack McKeon era officially began last night, albeit with another Marlins loss, as Florida dropped to the Los Angeles Angels of Anaheim by a score of 2-1. McKeon’s first stint with the Marlins also began in midseason, on May 10, 2003, with the Marlins nine games out of first place and seven games behind in the Wild Card race. The Marlins went 75-49 with McKeon at the helm, finishing the season with a 91-71 record and winning the National League Wild Card race by four games, en route to the franchise’s second World Series championship. Jack McKeon is 80 years old, baseball’s oldest manager since Connie Mack, who at age 87, guided the 1950 Philadelphia Phillies to a 52-102 record. McKeon has been a successful manager, posting a 1011-940 record (.518 winning percentage) over 15 years in Kansas City, Oakland, Cincinnati and Florida. However, the challenges he will be facing with this year’s Marlins team are distinctly different that when he took over in Florida during the 2003 season. The 2003 Marlins had a record of 16-22 when McKeon took over, and had lost seven of their previous eight games. 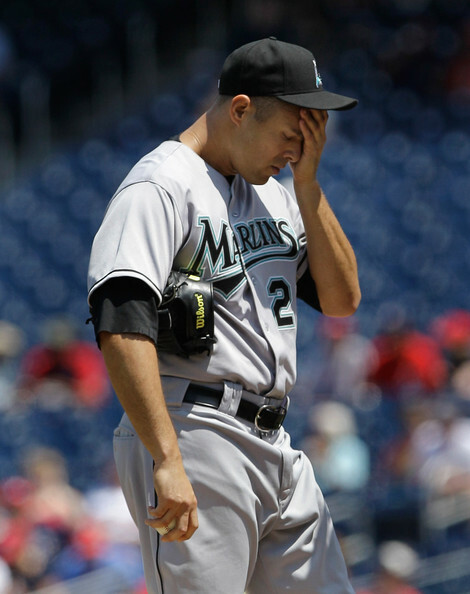 This year’s Marlins are 32-41, and have lost 19 of their last 20 games. The Marlins are in last place in the NL East, 13 games behind the Phillies and 8.5 games behind the Atlanta Braves for the Wild Card. The 2003 Marlins had similar obstacles, but with 35 more games to make up that ground. The way the standings are right now may be the least of McKeon’s worries. Shortstop Hanley Ramirez was benched for last night’s game because he showed up late to McKeon’s first team meeting. Ramirez is hitting just .200 with a .298 on-base percentage, .295 slugging percentage, four home runs, 17 runs batted in and 12 stolen bases in 55 games this season. He has averaged a .313/.385/.521 batting line with 24 homers, 78 RBIs and 39 stolen bases in his five full seasons in the big leagues, but is on pace for just nine home runs, 38 RBIs and 27 base robberies in 2011. The Marlins offense as a whole has struggled mightily, ranking 13th in the NL in runs scored (277), 14th in stolen bases (29), 11th in average (.243) and OBP (.313), 10th in SLG (.377), ninth in walks (236) and eighth in strikeouts (536). Getting Ramirez and catcher John Buck (.224/.298/.382, 8 HRs, 27 RBIs) going will be key to turning around the season. McKeon will also need to find a way to get more from his starting rotation. The Marlins’ bullpen has been very good this year, ranking seventh in baseball with a 3.06 ERA. However, with the exception of Anibal Sanchez (6-1, 2.90 ERA, 1.128 WHIP, 101 strikeouts in 99.1 innings) and Josh Johnson (3-1, 1.64 ERA, 0.978 WHIP, 56 strikeouts in 60.1 innings) who is currently on the 60-day disabled list with a shoulder injury, Florida’s rotation has been abysmal. Marlins starters are tied for 26th in the majors in wins (18), 26th in innings pitched (429.1), tied for 25th in ERA (4.44) and are 22nd in walks issued (149). Chris Volstad (2-7, 5.65 ERA, 1.494 WHIP in 79.2 innings) and Javier Vazquez (3-7, 6.85 ERA, 1.676 WHIP in 71 innings) have been particularly bad, averaging just 5.69 and 5.07 innings per start, respectively. 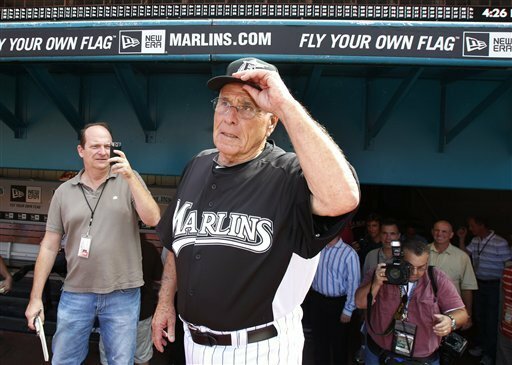 Jack McKeon may not have youth on his side, but he is an experienced manager who has had previous success, which is exactly what this young Marlins team needs. He always seems to get his teams to play hard, which has been a problem at times recently in Florida. While he guided the Marlins to the 2003 World Series after taking over midseason, do not expect any miracle comebacks this year. The 2011 Marlins are in a horrible funk, going 1-19 in the month of June, which includes their current 11-game losing streak. 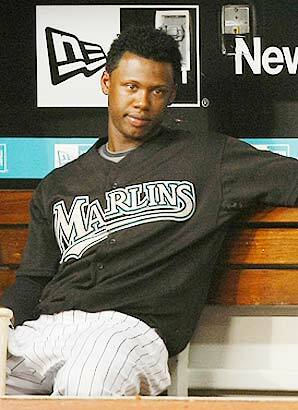 The 2003 Marlins also had much more time to make up ground in the postseason races, and did not have to deal with a horribly underachieving starting rotation and the face of their franchise, currently Hanley Ramirez, hovering around the Mendoza Line in June. Jack McKeon will get the most out of this young Marlins team, but there is too much turbulence to guide them to the postseason like he did after taking over the Florida job in the middle of the 2003 season.